A true New York bagel is a thing of wonder: dense but not too dense, with a glossy, crackly outer crust and soft fluffy insides that, when fresh, don’t need toasting. 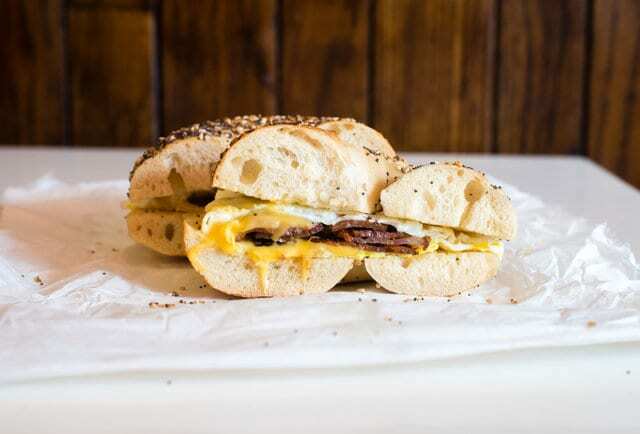 To help you avoid all inferior specimens out there, we’ve rounded up the best bagel shops across the city. This family-owned icon has remained mostly the same since it opened in the ‘70s. The beautiful bagels are notoriously huge, with the squishy interior and perfectly crisp crust that epitomize a classic bagel. There’s a large assortment of delicious spreads including smoked fish, and egg sandwich options. Get there early as there is always a line out the door- A sign of a great bagel. This quaint Columbia-area bakery boasts an enormous oven that supply Absolute Bagels with a steady supply of fresh, pillowy bagels daily. This is the real deal guys. The long line, but is totally worth the wait for one of those soft-on-the-inside, crispy in all the right places-on-the-outside holes. The bagels at this overly popular, mini-empire are unique on this list as they’re not strictly New York-style. 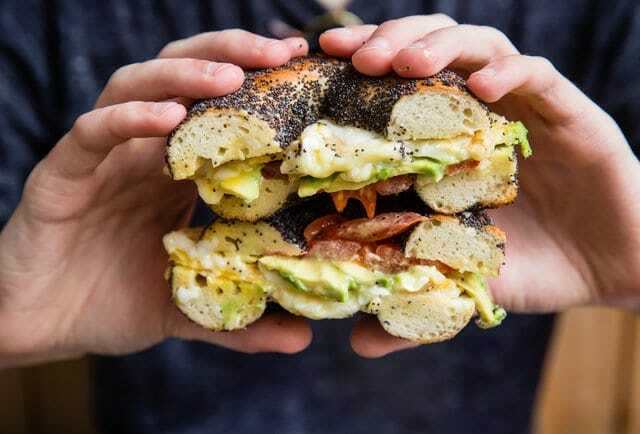 Restaurateurs Matt Kliegman and Noah Bernamoff have created a cross between a New York bagel and a Montreal bagel that’s chewy and dense, but also boiled in honey water and baked in a wood-fired oven. The result is a little bit different but still delicious, especially when paired with Black Seed’s fancy toppings like beet-cured lox with horseradish cream cheese, radishes, and herbs. 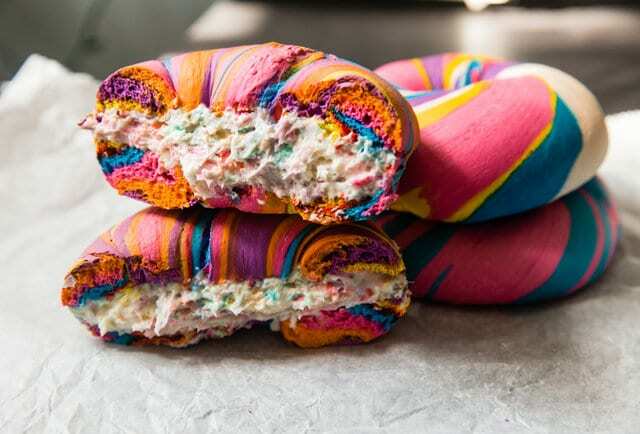 Famous for its rainbow bagels- you need to take one away. 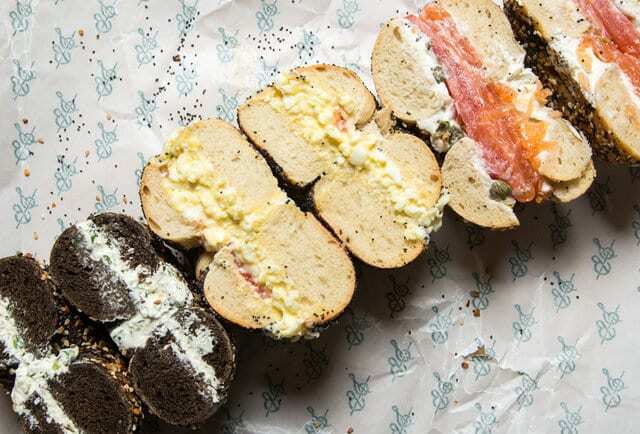 The bagels at this upscale Jewish restaurant, you can order to-go and are well worth it. The baker makes them the old-fashioned way — dense and chewy with a crackly crust — but tweaks the classic flavors in clever ways. Her “Everything 2.0” bagel includes fennel seeds, while her version of a salt bagel adds a sprinkling of sea salt and a black pepper-laced dough. 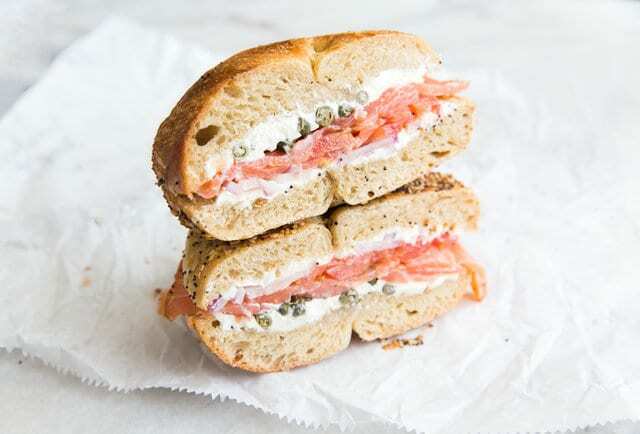 Whatever you choose, be sure to add house-cured salmon and cream cheese.